The Japan's No 1 fashion apparel brand has found another new home and intends to celebrate their opening with many in-store promotions at ONE Utama (old wing). 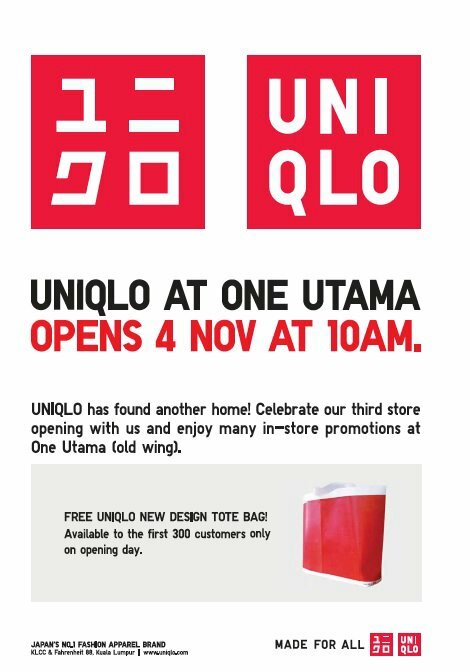 FREE UNIQLO NEW DESIGN TOTE BAG! Available to the first 300 customers only on opening day!